ARABIC: Bisillah hindîyah, Lûbyâ sûdânî, Shakul. CHINESE: San ye dou, Niu dou, Dou rong, Shu tuo, Mu dou. FRENCH : Ambrevade, Pois d'Angola, Pois du Congo, Pois cajan. HINDI: Arhar, Toor, Tuur, Tur, Tuvar, Tuver. MALAY : Kacang kacang dal, Kacang hiris, Kacang kayu, Kacang gude. PORTUGUESE : Feijão-guandu, Guandu, Guisante-de-Angola. SPANISH : Cachito, Fríjol de árbol, Frijol de la India, Frijol guandul, Frijol quinchancho, Gandul. THAI: Thua rae, Thua maetaai, Ma hae. VIETNAMESE: Cay dau chieu, Dau thong. Kadios is an erect, branched, hairy shrub, 2 to 4 meters high. Stems are angled and covered with fine hairs. Leaves are oblong-lanceolate to oblanceolate, trifoliate with two lateral leaflets and a central/terminal leaflet on a longer petiole. Flowers are yellow, occurring in sparse peduncled racemes, about 1.5 centimeters long. 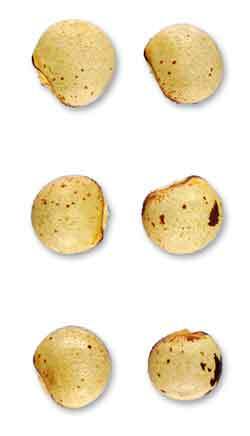 Pod is hairy, flattened, 4 to 7 centimeters long, about 1 centimeter wide, containing 2 to 7 seeds. Seeds are smooth, 4 to 8 millimeters in diameter, green when immature, turning white, yellow, red or black on maturity, entire or mottled. - In settled areas throughout the Philippines, cultivated, semicultivated, and in some places, spontaneous, occurring from sea level to 2,400 meters. - Probably prehistoric introduction from tropical Asia of Malaya. - Phytochemical screening yielded carbohydrates, protein, amino acid, fats and oils, steroid, glycosides, anthraquinone glucoside, saponin glycoside, flavonoids, alkaloids, phenolic compounds. - Pigeon pea is rich in starch, protein, calcium, manganese, crude fiber, fat, trace elements, and minerals. - Seeds are rich in carbohydrates (58%) and proteins (19%). - Studies yielded 2'-2'methylcajanone, 2'-hydroxygenistein, isoflavones, cajanin, cahanones, among many others. - Leaves are rich in polyphenolic compounds, i.e., flavonoids like luteonin and apigenin, and also stilbenes, saponins, tannins, resins, and terpenoids. - Roots are considered anthelmintic, expectorant, febrifuge, sedative, vulnerary. - Studies have suggested antihyperglycemic, anti-inflammatory, anti-plasmodial, anti-sickling, antihyperlipidemic, antimicrobial, anticancer, antioxidant, hepatoprotective properties. - Used mainly for its edible young pods and seeds. - Vegetable food crop ( seeds and pods) in South-East Asia. - Fair source of calcium and iron; good source of vitamin B. - Decoction or infusion of leaves for coughs, diarrhea, abdominal pains. - Tender leaves are chewed for aphthous stomatitis and spongy gums. - Pulped or poulticed leaves used for sores. - Leaves used in the treatment of measles. - Roots chewed for toothache; leaves used to clean teeth. - In Peru, leaves are used as an infusion for anemia, hepatitis, diabetes, urinary infections and yellow fever. - In Argentina, leaves used for genital and skin problems; flowers used for bronchitis, cough and pneumonia. - In China, as vermifuge, vulnerary; for tumors. - In Panama, used for treatment of diabetes and jaundice. - In Bangladesh, used for treatment of diabetes. - In Indian folk medicine, used for a variety of liver disorders. - Used in the treatment of jaundice, bronchitis and cough; used as anthelmintic and in child delivery. - Forage: Used as forage or hay. - Crafts: Branches and stems for basket and fuel. • RBC Sickling Inhibition / Sickle Cell Anemia : Clinical studies have reported seed extracts to inhibit red blood cell sickling and potential benefit for people with sickle cell anemia. • Sickle Cell Anemia: In a single blind placebo controlled study, results showed CC extract may cause a reduction of painful sickle cell crises and ameliorate the adverse effects of sickle cell anemia on the liver. • Antioxidant / Hypolipidemic: Study of methanolic extract of CC in alloxan-induced hyperglycemic rats showed a significant reduction in blood glucose, triglycerides, cholesterol, and creatinine concentrations. Antioxidant activity was confirmed with in vitro studies. Evaluation of traditional medicine: effects of Cajanus cajan L. and of Cassia fistula L. on carbohydrate metabolism in mice / Exposito Avella M et al / Rev Med Panama. 1991 Jan;16(1):39-45. Evaluation of hypolipidemic and potential antioxideant effects of Pigeon pea (Cajanus cajan (L>) Millsp. leaves in alloxan-induced hyperglycemic rats / Akinloye O A and Solanke O O / J. Med. Plant. Res. Mechanism of the Antisickling Effects of Cajanus cajan and Phenylalanine / Chidi G. Osuagwu / Nigerian Journal of Biochemistry and Molecular Biology, 25 (2): 68 - 71, 2010. Sorting Cajanus names / Authorised by Prof. Snow Barlow / Maintained by: Michel H. Porcher / MULTILINGUAL MULTISCRIPT PLANT NAME DATABASE / Copyright © 1997 - 2000 The University of Melbourne. 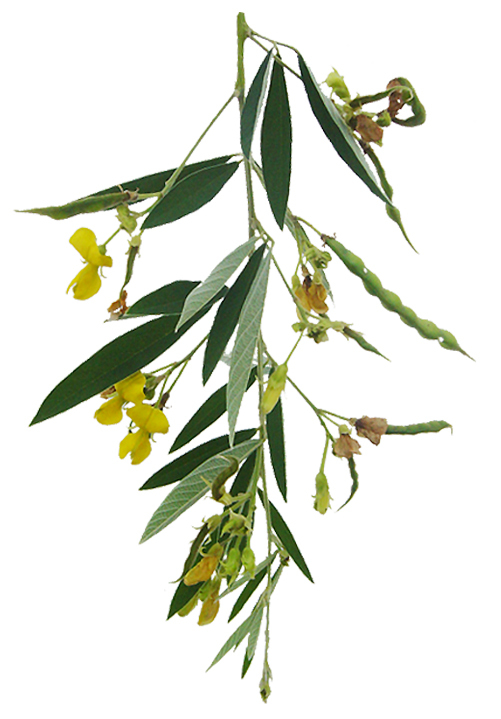 Cajanol, a novel anticancer agent from Pigeonpea [Cajanus cajan (L.) Millsp.] roots, induces apoptosis in human breast cancer cells through a ROS-mediated mitochondrial pathway. / Luo M, Liu X, Zu Y, Fu Y, Zhang S, Yao L, Efferth T. / Chem Biol Interact. 2010 Oct 6;188(1):151-60./ doi: 10.1016/j.cbi.2010.07.009. Epub 2010 Jul 16. Anti-Oxidative Protection against Iron Overload-Induced Liver Damage in Mice by Cajanus cajan (L.) Millsp. 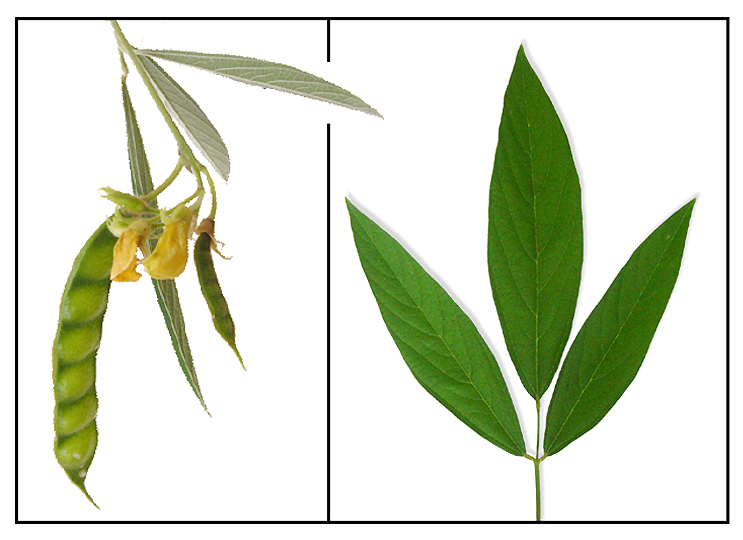 Leaf Extract / Rhitajit Sarkar, Bibhabasu Hazra & Nripendranath Mandal / Indian Journal of Experimental Biology, Vol 51, Feb 2013, pp 165-173. Comparative study of antidiabetic activity of Cajanus cajan and Tamarindus indica in alloxan-induced diabetic mice with a reference to in vitro antioxidant activity / Laizuman Nahar, Fatema Nasrin, Ronok Zahan, Anamul Haque, Ekramul Haque, Ashik Mosaddik / Pharmacognosy Research, 2014, Vol 6, Issue 2, pp 180-187. Anti-Ulcer and Anti-Inflammatory Activity of Cajanus cajan Linn. / Jaliwal Y A, Mohanti P K, Jain Neetesh Kumar / International Research Journal of Pharmacy, 2014, 5(4). In vitro antioxidant and pharmacognostic studies of leaf extracts of cajanus cajan (l.) millsp / B Mahitha, P Archana, Md. H Ebrahimzadeh, K Srikanth, M Rajinikanth, N Ramaswamy / Indian Journal of Pharmaceutical Sciences, 2015, Vol 77, Issue 2, pp 170-177. Hepatoprotective effect of Cajanus cajan on tissue defense system in D-galactosamine-induced hepatitis in rats / Oluseyi Adeboye Akinloye, Moshood Olajire Olaniyi / Türk Biyokimya Dergisi [Turkish Journal of Biochemistry–Turk J Biochem] 2011; 36 (3) ; 237–241. Phytochemical And Antiulcer Activity Of Cajanus Cajan Leaves Against Pylorus Ligation-Induced Gastric Ulcer In Rats / Mohammad Mansoor, Cheelapogu Venkateswarlu*, Srinivasa Rao D. / INTERNATIONAL JOURNAL OF ADVANCES IN PHARMACY MEDICINE AND BIOALLIED SCIENCES, Volume 3, Issue 2, Page 84-88, May-August 2015. Effect of the addition of pigeon pea (Cajanus cajan) flour on the chemical, nutritional and sensory quality of cassava bread ("casabe") / Ciarfella, A. T.; Perez S, E.; Tovar, Juscelino LU ; Sanchez, T. and Dufour, D.